Here is an interesting item for you. 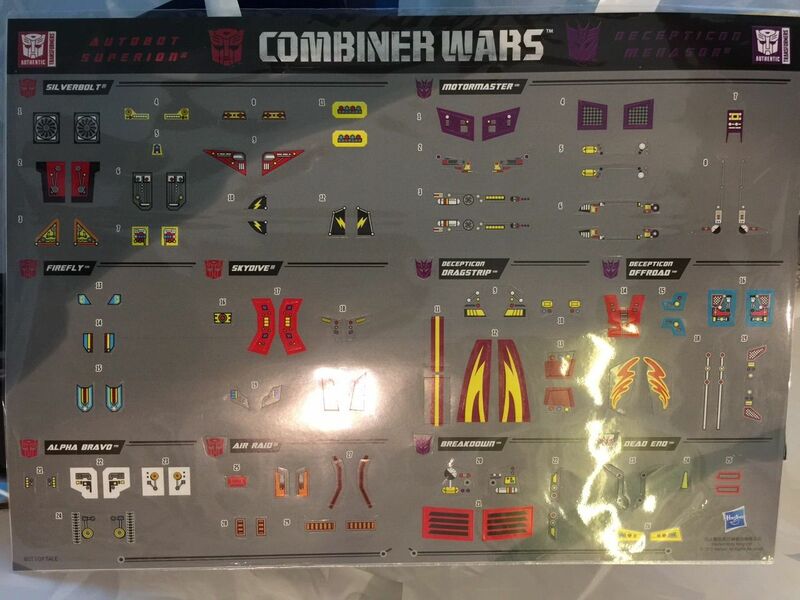 Courtesy of TFW member CyberShadow, we have learned of this sticker sheet being given away with a minimal spend on Transformers product in Toys R Us stores in Singapore. The sheet has labels for both the Aerialbots and Stunticons in the Combiner Wars line. The labels add some Generation 1 inspired details on the individual figures, such as blue, red and yellow details for the chest of Firefly. You can check out an image of the sheet attached to this post – a big thanks once again to CyberShadow for sharing this with us. Ar these supposed to mimic the G1 decals or something? damn that's horrible. hope you can get a replacement bro. I hope so too man. Thanks. Got the stickers, but it is mis-cut. WTF? Hopefully Robotkingdom will send me another copy. Already sent a request, but no confirmation yet. Robotkingdom have just got the Free Give away stickers with purchase! That's pretty cool of you guys. Yep, you guys are sending me a set free of charge for my wave 2 purchase, thanks! Anyone has pics of these applied? I'm not really a fan of stickers so it doesn't bother me that they are Singapore exclusives. They are a cool idea for those that prefer stickers. It looks to be all in English already, maybe they'd put these up on HTS for like $1-2? I'd be willing to cover the mail costs if they are just giving these away elsewhere. doesn't look like they are going to do much for the figures. reprolabels sets are much better. Interesting. I like official stuff so might try and hunt these down. Godammit this is the 2nd time I just left Singapore and something like this pops up! The only thing I got from TRU when I was there yesterday was a Wave 1 Combiner Wars toy guide book. Didn't they start doing official sticker sheets for masterpiece figures? And now that I think of it, didn't Tigertrack have faction symbols too? But my point was, nothing major like Track's hood deco.